Hi.. 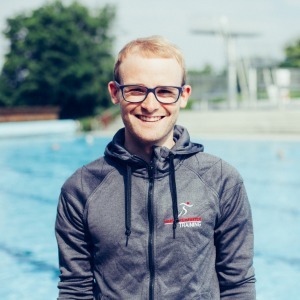 I am a Coach, Triathlet and Physiotherapist. My specialties are individual training planning, performance diagnostics and personal training. For eight years I own the coaching license. I'm happy to work with you. Martin is a trainer, coach and physiotherapist. He discovered his enthusiasm for movement early on and now implements it in his daily work. He pays particular attention to individuality and targeted holistic care within his actions. He sees the communication between athlete and coach as an essential element of his work. At Martin, every training plan will be tailored to the needs of the athlete, taking into account the time available, the individual goal, and the athlete's level of performance. Martin is convinced that every person is an athlete and that he can achieve his goals through targeted, individual training. Success. Coach Martin Weinfurter has been notified of your message.